Most project management apps either don’t offer time tracking or provide very limited functionality. To be as productive as possible, you’ll want an app that does both well. And while there are some integrations that will help, the best solution is one you might not expect: Chrome time trackers. They’re some of the best productivity extensions out there, and they can make a big difference in how you manage your projects. Let’s take a look. Time tracking. Some of the project management frontrunners like Trello and Basecamp don’t even offer time tracking. This forces you to use two apps when you could be using one. And like too many cooks in the kitchen, multiple apps can cause trouble. Super basic tracking. 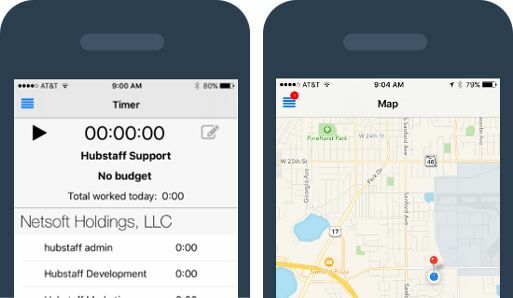 Some apps, like Wrike, offer time tracking, but it’s only a timer. Just like a simple kitchen timer, you turn it on at the start of a task and off once complete. Which isn’t nearly as useful as it could be. The honor system. Most time tracking methods rely on a person’s integrity. But, consciously or unconsciously, most people will record their time inaccurately. Technology. Ah yes, some project management approaches rely on paper time sheets. Most people wait until the end of the day or even the week and scramble. You’ll try to recall what you did on Tuesday for three hours. Maybe you’ll piece together billable hours for multiple clients. But the estimates will always be off. Your best bet, then, is to use a project management app and a separate time tracking app. But that’s a pain; you need to switch back and forth all the time, and splitting up your time between different projects is up to you. It can be done, but there has to be an easier way. Using separate time tracking and project management apps can solve the problem. But it’s certainly not optimal. Using a project management tool that integrates with a time tracker is better. Both Trello and Basecamp have some helpful time tracking integrations. Problem solved, right? Unfortunately not; there’s still a glaring issue. Let’s say you communicate a lot through Trello. There’s no record of this in your time tracking software. To create an accurate record, you need to jump back and forth between your time management and project management apps. This becomes very inefficient. Especially if, like me, you get five or six Trello notifications every hour. So what’s the solution? How can you track your time in a project management app with all the advanced time tracking functionality you need? Some time tracking apps have Chrome timer extensions that allow you to track time from your favorite web-based project management app without leaving the app itself. They integrate with various project management apps. If, for example, you need to switch from Basecamp to Trello, or your team wants to go from Trello to Asana, you don’t have to change your time tracking application. They’re available across devices. If you’re traveling and need to track time from a mobile phone (where Chrome extensions are not available) or a co-worker’s laptop, these tools give you other options. Specifically, they work on Mac, Windows, Linux, Android, iPhone, and as a Chrome extension. Whatever you have with you will work. They’re user-friendly. Obviously. Why would you use a tool that’s difficult and thus make you more inefficient? They’re economical. Again, obvious. You wouldn’t use a tool that would cost thousands of dollars every month. Everyone and every company has a budget. Hubstaff’s time-tracking software for Chrome makes it easy to record your work hours. Its productivity tracking features are a big stand-out, and the Chrome timer extension makes a log of the websites you visit and time spent on each one so you can improve productivity over time. Better yet, you can use tracked hours to create invoices, generate reports, and pay your team. Managers and business owners can set weekly hours limits for their team members so that you’ll never go over budget. Get automatic alerts as hours and budget limits are approached. Plans include a 14-day free trial. Solo Lite: free for one user. Get time tracking, limited screen storage, and activity levels. Basic: for only $5 per user per month, you’ll get keyboard and mouse activity, one integration, unlimited screenshots, employee payments and 24/7 support. Premium: $10 per user per month. Everything in the first two plans, plus time-saving business features like automated payroll, mobile and GPS tracking, timesheet approvals and more. Harvest is one of the most popular time tracking tools on the market today. It offers time tracking across a wide range of platforms, including (unbelievably) Apple watches. Also, they get a +1 for their invoicing capabilities. And if you have multiple clients, you can pull your tracked time into a customized invoice and save on manually entering time. Free: one person, two projects. Solo: $12 per month, one person, unlimited projects. Team: $12 per month per person, unlimited projects and unlimited people. Toggl’s Chrome extension tracks in real time, so you never lose a minute of billable hours—even if you’re offline. If you forget to switch it on, you can enter time later. And you can organize your time by projects or tags to keep everything easy to access. A large list of integrations and the ability to mark specific chunks of time as billable are very convenient. But both of these features are unavailable on the free plan. Each plan below includes a 30-day trial. Free: You get most of the time tracking, but very little of the project management functions. Starter: $9 per user per month. Upgrade to this level and you’ll get many reporting functions, like billable rates, exporting and detailed weekly reports. You also get project management functions: alerts for estimates, project dashboards and project time estimates. Premium: $18 per user per month. At this level, you’ll get more of a customized experience. You can also choose one special feature to add to your plan. Enterprise: $49 per user per month. This level comes with priority support and unlimited access to special features. Everyone has their own criteria for deciding which Chrome time tracker to use. Apart from the three I recommend, here are 10 more that made my runner-up list. They may not be the best Chrome productivity extensions out there, but some people will find that they meet their needs. TrackingTime is designed to help track time, analyze how it’s being spent, and report work to your company. The Chrome time tracking extension displays a navigation bar and shows your recent activity, a timer, and a notifications tab. You can also use multiple accounts. The layout is very clean and easy to navigate. All plans come with a 14-day free trial that includes the PRO version. Basic: free. Track time, add time manually and import entries for teams of up to three people and up to 100 tasks. Pro: $5 per user per month. Get a calendar feature, custom reports, add notes to time entries, and create time audits. Business: $9 per user per month. This plan is “coming soon” according to the TrackingTime website, but will include everything in Pro plus time audits and user logs. ZipBooks is accounting software that offers a time tracking add-on for Chrome. You can track billable time through the extension, and then ZipBooks pulls that information into an invoice. It’s time tracking that’s focused on bookkeeping and accounting for small businesses. ZipBooks offers a 30-day free trial of their Smarter and Sophisticated Plans. Starter: free, but doesn’t include time tracking. Smarter: $15/month. To get time tracking as a feature, you’ll have to opt for the $15/month plan. Sophisticated: $35/month. More accounting features such as bank reconciliation and secure document sharing, along with advanced reporting. No one likes logins and passwords these days. CloudTimr lets you log in using your Google account for convenience. Creating tasks and tracking time on them is easy; as a plus, cloud storage of your information means it can be used across multiple platforms. The tour of the key features is great for learning the program quickly. Tick works on many devices, from your laptop and desktop to your phone and Apple Watch. Tasks are assigned time, and the timecard keeps track of project budgets. Just enter a budgeted amount and once you start entering time, see how many billable hours are left per project. Free 30-day trial. All plans include unlimited people and Basecamp integration. 10 projects: $19 per month. 30 projects: $49 per month. Includes recurring projects. 60 projects: $79 per month. Includes recurring projects. Unlimited projects: $149 per month. Includes recurring projects. TMetric is a time tracking service for IT professionals and companies. You can track tasks from multiple project management systems within the extension. Other features include categorizing time, creating reports and monitoring your team online. Time is viewed as a timeline and can be edited from TMetric. All paid plans start with a 30-day free trial. Free for up to five users. Professional: $4 per user per month if billed annually ($5/user if billed monthly). Business: $6 per user per month if billed annually ($7/user if billed monthly). For a very simple time tracking solution, Everhour offers a Chrome extension. Priding itself on a variety of integrations and ease-of-use, Everhour offers time tracking, reporting, invoicing and more. Instead of offering plans with different features, Everhour is priced based on how big your team is. Solo: $8 per user per month if paid annually. Limited to one user. Team: $5 per user per month if paid annually ($7/user/month if paid monthly). Like ZipBooks, FreshBooks is focused on small business accounting. The app’s features are focused on that, but the company does offer a Chrome extension for tracking billable time. The whole purpose is to track time more accurately so that billing and invoicing can be automated and seamless. Users get a free 30-day trial. Lite: $15 per month for up to 5 clients. Plus: $20 per month for up to 50 clients. With automatic payment reminders, late fees for overdue payments and scheduling of recurring invoices. Premium: $50 per month for up to 500 clients. With the ability to assign projects on phone or computer tracking systems, SCREENish is good for distributed or partially distributed teams. You can create, assign, and monitor both your own and your team’s projects. And the extension offers a simple step-by-step process for getting started. $5 per user per month up to 20 users. Beyond 20 users, you’ll need to get in touch with SCREENish. Time Track Turbo uses a central dashboard to track time both online and off. Besides tracking time, you can edit projects, oversee time sheets, and jump between different clients. Basic: free. Ten projects, five clients, five services, five invoices and unlimited time tracking. Pro subscription: $6 per user per month. Unlimited everything except employees. Business subscription: coming soon. Tracks time for multiple workers. Awesome Timesheet is quick and easy to learn. The timer gives you statistics on your work, and you can bill and schedule work to be done to stay more organized. Plus, it synchronizes across devices: desktop, mobile app, Chrome app and more. Free. Get one app, free billing, and cloud hosting. Online: $24 per user per month if paid annually. Pay for apps as you use them. Includes monthly billing, customization, and support. Price goes up for each user added. Time tracking matters a lot to me, and having a Chrome time tracker extension is a huge bonus for any time tracking software. Do you use a Chrome time tracker? Which one? And why did you choose that particular extension? Share your thoughts in the comments below! This post was originally published in March 2017. It has been updated for accuracy, and to include more relevant apps.